Are you looking for a different and fun favour for your wedding? This cute bicycle key charm and bottle opener makes a great choice, especially for cycling enthusiasts! 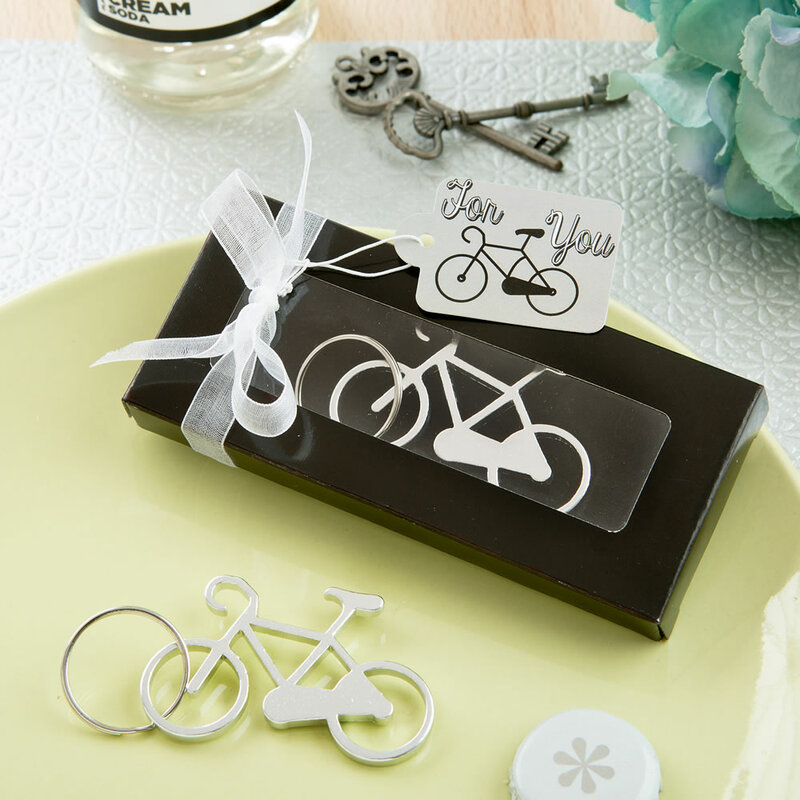 Crafted from silver aluminium, this cute favour features a classic bicycle shape. The front wheel of the bicycle attaches to a metal keyring allowing this fabulous little charm to hang on a bunch of keys.